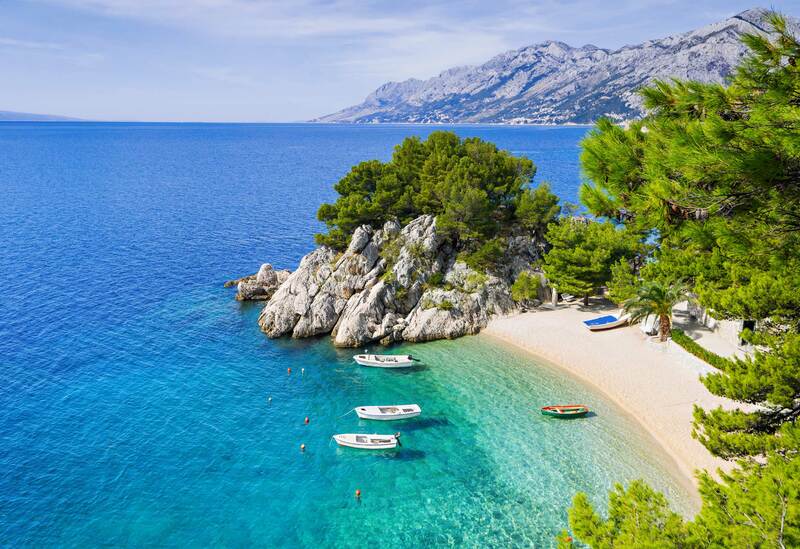 Over the past decade, Croatia has become one of Europe’s most popular destinations. A country of outstanding beauty, rich history and friendly people, Croatia is surprisingly diverse with beautiful national parks and dramatic scenery. To experience Croatia’s beauty in just a week, visitors can meander down the Dalmatian coastline, which meets the sparkling Adriatic Sea. It’s easily one of Europe’s most beautiful coastlines. 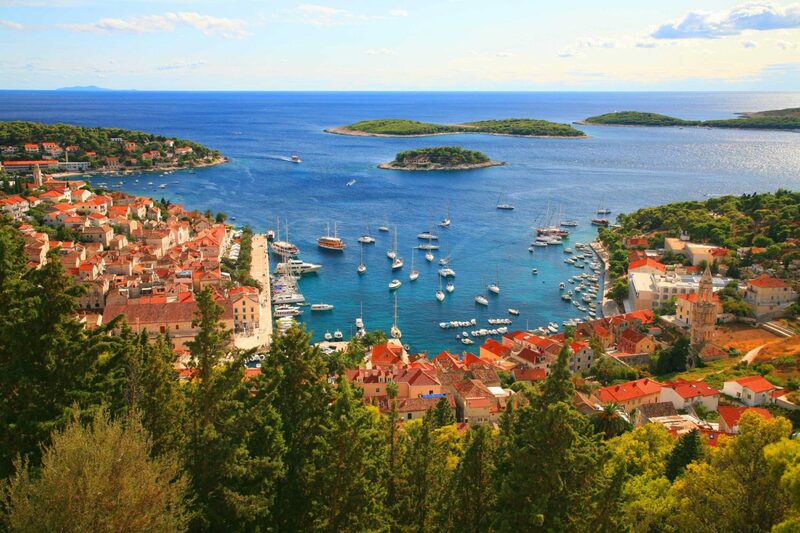 The Dalmatian Coast stretches from Zadar in the north to Dubrovnik in the south. Visitors can focus on the central coast, starting in Zadar then heading south to Makarska and before looping back via the islands. It’s best to hire a car and travel at one’s own pace rather than rely on the local bus network. 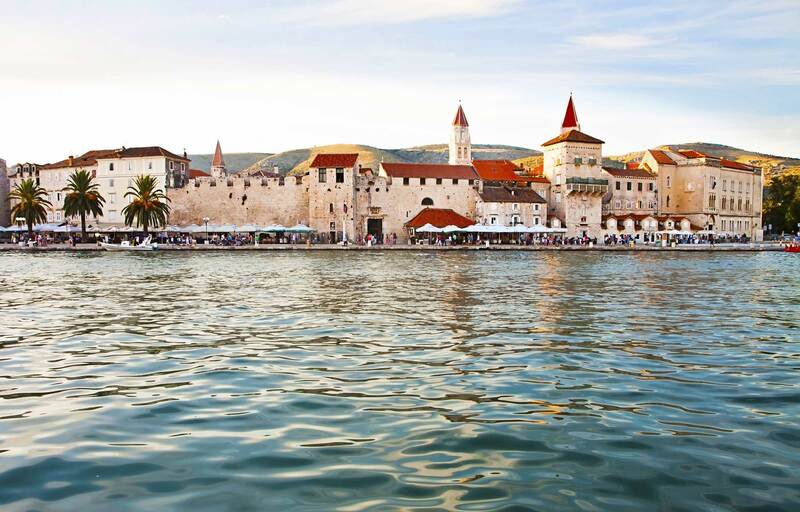 As well as featuring in the television series Game of Thrones, the small town of Trogir is known for its historically valuable buildings such as Fortress Kamerlengo, St. Lawrence Cathedral and Duke’s Palace. The highlight is Trogir’s historic centre, which is listed as a UNESCO World Heritage Site due in part to its unique Venetian architecture. Trogir is a perfect example of the Romanesque and Gothic architectural style, which can be found everywhere throughout Croatia. Distance: Trogir is 130 kilometres south of Zadar and should take about 90 minutes to cover. Try to start the journey early in the morning to avoid spending too much time in traffic. Split is a town that’s always buzzing with energy. Its strategic position halfway along Croatia’s coastline has made it valuable throughout the centuries, for the Romans, the Greeks and even the German forces in World War Two. 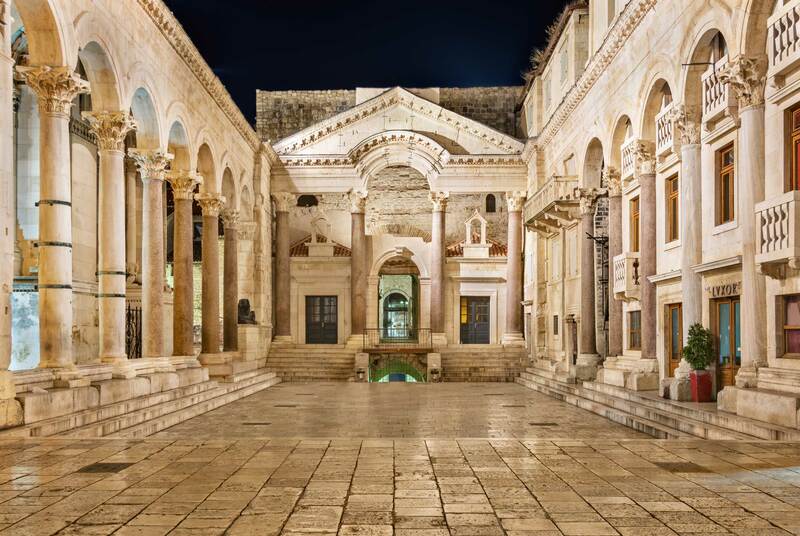 It is cluttered with historic buildings that exude charm and interesting histories, most notably the Palace of Diocletian (another UNESCO World Heritage Site). Split’s three must-see sights are the Klis Fortress, Temple of Jupiter (a Roman temple dedicated to different deities) and the octagonal cathedral — Cathedral of Saint Domnius — which is one of the world’s best preserved Roman buildings, dating from the third century. Distance: Trogir to Split is around 26 kilometres and will take about one hour. Preferably drive along the coastline; it’s a wonderful short trip, especially at sunrise. 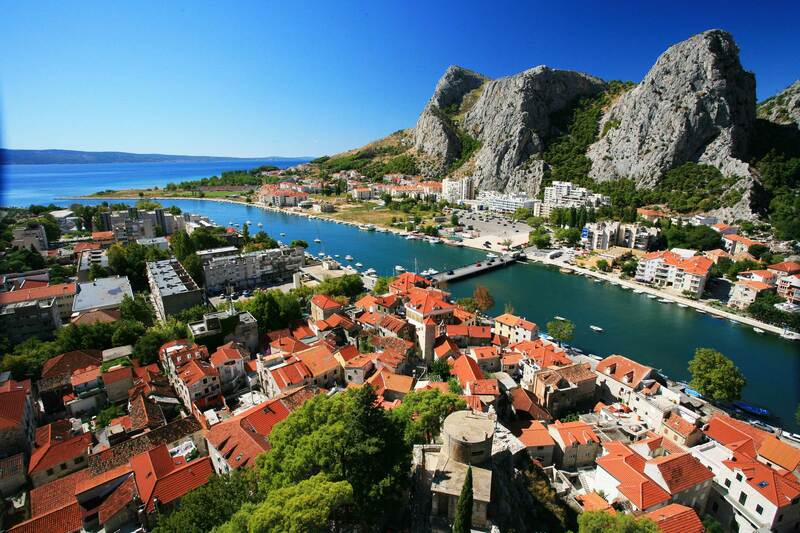 The third day should be spent visiting the small village Omiš, which is an hour south of Split. The village is divided by a small river and lies at the tip of a small bay. The scenery is beautiful, with the many beaches looking out towards the island Brač. Spend the afternoon walking up a small mountain to Fortress Starigrad, a 15-century castle built to defend the village from invaders. The uphill walk takes about 45 minutes and it is quite challenging, but worth it for the incredible view across the Dalmatian coastline and the nearby islands. In the evening, pay the inner part of Omiš a visit. It’s full of tiny Roman alleyways, with street vendors selling all kind of goods and food. Seafood is the best option as it’s freshly caught every day and the locals cook it with passion. Enjoy with a delicious glass of Croatian white wine for a great way to end the day. Distance: The 25-kilometre drive from Split to Omiš should take just over half an hour. Remember to pack plenty of water and food for the walk up to the fortress. After spending the morning visiting Mirabella Castle (Peovica) in the heart of Omiš village, it’s time to visit the hinterland, where a range of activities including canyoning, whitewater rafting, paragliding, free climbing, diving, fishing and zip lining await. Canyoning or hiking Cetina Canyon is recommended. The huge canyon lies right behind the mountain ranges and offers some incredible views from up high. 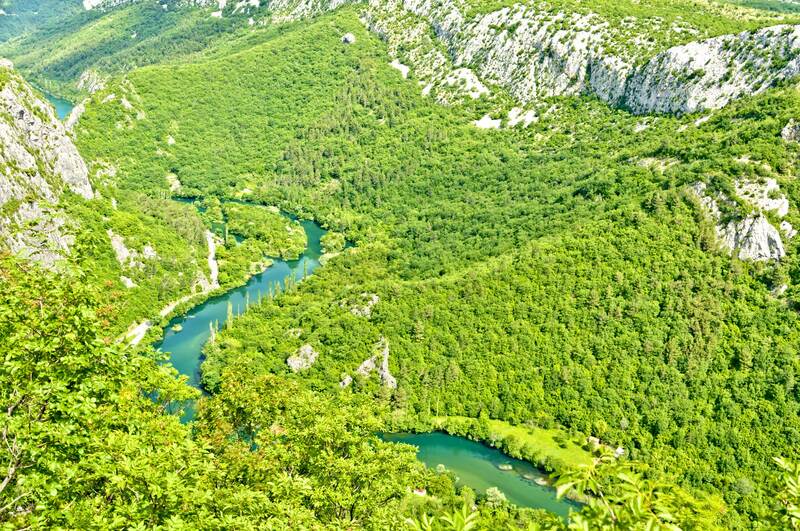 Distance: It takes 10 minutes to drive from Omiš village to the higher areas of Cetina Canyon. Arriving at Makarska, visitors will find themselves on the southern end of the Dalmatian coastline, which is known for magnificent beaches and watersports activities. The area is popular with families, with good restaurants, first-class beachfront hotels and beautiful views across to the islands. It is a good place to spend half a day. In the afternoon, head inland towards Biokovo Mountain Nature Park. Visitors can drive most of the way up Mount Vošac (1421 metres) and park near the disused hut before taking a 20-minute walk to its peak. A walking track connects Vošac with Sveti Jure, the highest mountain in the range (1762 metres). The park is popular with hikers and tourists. Distance: Begin the 36-kilometre trip from Omiš to Makarska early in the morning, as traffic can be painfully slow. The Croatian islands are extremely beautiful, with fine white sand and crystal-clear waters. 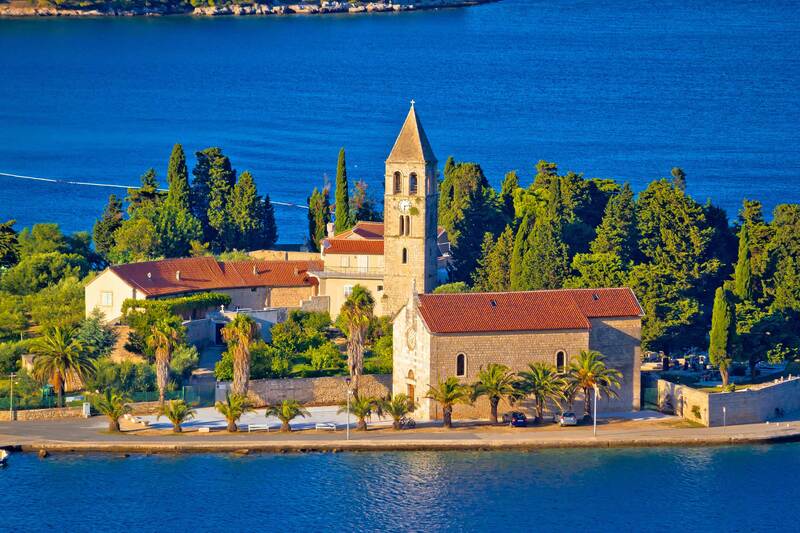 The islands of Brač and Vis are recommended if time only allows for a visit to two islands. Brač is the largest of the Dalmatian islands, featuring rocky limestone terrain and the occasional rising peak and some sandy bays. 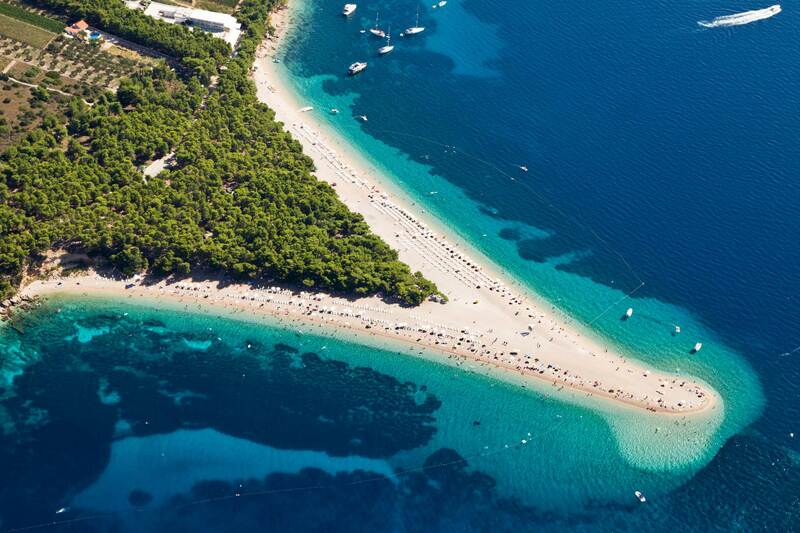 The island is home to one of Croatia’s well known sights, the Golden Horn, which is a dreamy golden sand beach that looks like a V from above. Visitors can enjoy exploring Brač’s many karst limestone reliefs, various crevices, gullies and coves. Distance: Take a one-hour ferry from Makarska to Brač, either on the passenger ferry (leaving the rental car in Makarska) or vehicle ferry. Take a ferry from Brač to Vis (via Hvar) and enjoy some spectacular scenery before arriving on the island. Ancient Roman houses with red rooftops stretch along a tiny, beautiful bay (Viska Luka), perhaps just one reason why many tourists claim this to be Croatia’s best island. Enjoy the peaceful, almost lazy atmosphere, by strolling past the cafès and bars on the waterfront, watching the private yachts leaving the harbour, or going for a swim in the ocean. The village of Kut has many charming restaurants, a church and several interesting houses and small markets. Distance: The ferry from Brač to Vis takes about one hour. From the main harbour in Vis, take a taxi or simply walk to the main tourist area. Driving along the Dalmatian Coast is pretty easy, as there’s just a single main road that is shadowed by mountains for its entire length. As mentioned, hiring a car is the best option for exploring although the Croatian bus service is professional and reliable. Croatia seems to grow in popularity each year – expect crowds of tourists during the peak summer months of June to August. Avoid overcrowded beaches and sights by visiting in May or September, when the temperature is warm and enjoyable. Hotels in Croatia are nice, but Airbnb is a very good option for those wanting to have a more authentic experience. Renting a room is a great way to engage with friendly locals who will be happy to give tips on where to go and extra places to visit. Remember to stop at as many lookout points as possible when driving along the Dalmatian coast — the views are worth it. Lookout points are also usually close to good swimming spots, so take a break for a refreshing swim and watch the pretty sail boats passing by. Go for the small seafood restaurants along the coastline — they have the best and cheapest meals. Rent-a-car directly. It will cost more to book it online. Avoid driving at night — Croatians are not that careful with other traffic.